Demonik is the latest game from award-winning developer Terminal Reality, creators of Majesco/'/s hit BloodRayne series. Demonik is a detailed third-person action game that allows players to control the ultimate bad guy -- wreaking havoc with a variety of innovative and spectacular powers and abilities. 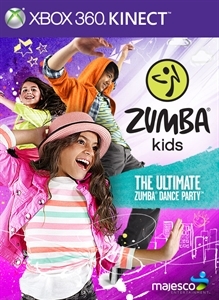 ..
Jump in and have a blast with Zumba Kids, the ultimate dance-fitness party that gets kids moving together with fun, high-energy rhythms across 20 international dance styles. Feel the beat with 30 rockin’ tracks including hits from Justin Bieber and Willow Smith, and express yourself in creative mini games that mix up the fun. Unlock cool rewards, c.. In Night at the Museum: Battle of the Smithsonian, players assume the role of Ben Stiller/'/s character, Larry Daley, former night guard of New York/'/s Museum of Natural History. Larry must rescue Jedediah and his other friends from Akhmenrah/'/s brother who captured them while stealing a powerful Magic Tablet that can raise the Army of Horus to t..
Serious Sam HD - Your favourite Sam, now in High Definition! The legendary Sam "Serious" Stone returns to battle the relentless hordes of Mental/'/s army in glorious high definition on Xbox LIVE Arcade in Serious Sam HD: The First Encounter. Based on the original indie arcade shooter sensation Serious Sam: The First Encou..
Hulk Hogan/'/s Main Event lets players create their own wrestling persona and interact using Kinect. 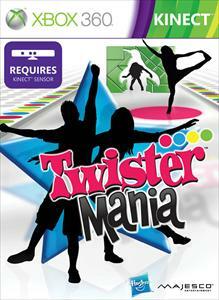 ..
A brand new way to play the iconic game of Twister® is now available for Kinect on Xbox 360! Introducing… Twister™ Mania! The demo version includes 4 challenges of the campaign-style Play It All mode for both Single and Co-op competition types, including Shape Frenzy, Break It Down Classic and Twist & Fit Slalom. The full version of Twister™ Ma..
Feel the rush with the exhilarating dance fitness sequel to the original global smash hit! 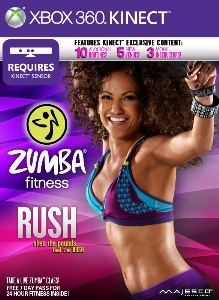 Get your body rockin’ with a red-hot blend of contagious choreography set to Zumba® music plus electrifying tracks by Pitbull, Nicole Scherzinger and more. Party yourself into shape with 42 all new routines and 24 international dance styles, from Bollywood to..
Phineas and Ferb: Quest for Cool Stuff for Xbox 360. [b]Game Features[/b] [ul][li]Switch on-the-fly between ambitious innovator Phineas and silent, but stoic Man of Action Ferb as they explore an ancient lost temple, underwater caverns and more in search of treasure! [/li] [li]Build, upgrade and customize the A.T.T. (All-Terrain Transformat..
Take your work out to Brazil, Hawaii and beyond in this vibrant fitness journey packed with exotic rhythms and rich culture from around the world. 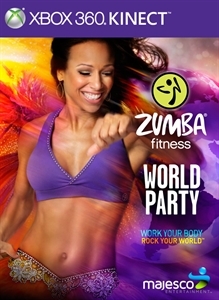 Expand your horizons with 40+ high-energy routines, over 30 calorie-burning dance styles, and a red hot soundtrack featuring Lady Gaga, Pitbull, Daddy Yankee and more. Work your body as you set fitness g..